1) Bar soap is a good anesthetic for insect bites. When bitten by an insect to prevent any contamination, apply bar soap on the area to neutralize any itching due to the bite. 2) Marking fabric with soap. Traditionally, we normally use chalk to mark a design on a fabric before hemming. However, chalk might leave a stain on the fabric, however when a soap is used instead, the markings are easily removed when washing the fabric. 3) It prevents dirt buildup under the fingernail. When working in the garden or simply house cleaning, dirt building under the fingernails do occur; all you need to do is to scrape your fingernails along the bar soap before your task. This helps pack the soap under your nails and prevent tiny dirt particles from being stuck, making for an effortless clean afterwards. 4) Repellent. If mosquitos and bugs are giving you problems in your home, simply make a pungent soap aroma to deter and repel these insects. 5) Stain remover. Rather than spending a huge amount of money on commercial stain removers, try using a bar of soap instead by simply lathering it on stains before washing and house cleaning. Soap can naturally lift stains and cut grease with ease without the harmful chemicals found in commercial cleaning products. 6) Lubricate screws. 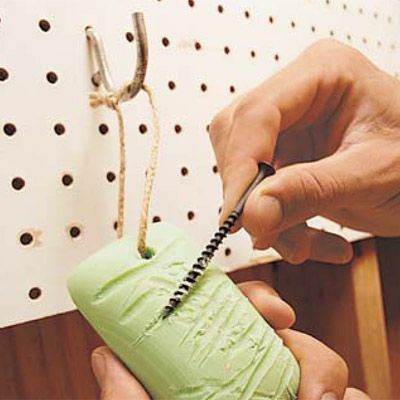 Coat screws with soap to help them turn and install easier. There is nothing worse than being left with a bunch of useless screws with rounded heads. When using screws to join hardwood such as maple, make your life a bit easier and coat the screws with bar soap, you’ll be surprised how much easier it is to install. 7) Deodorizer. 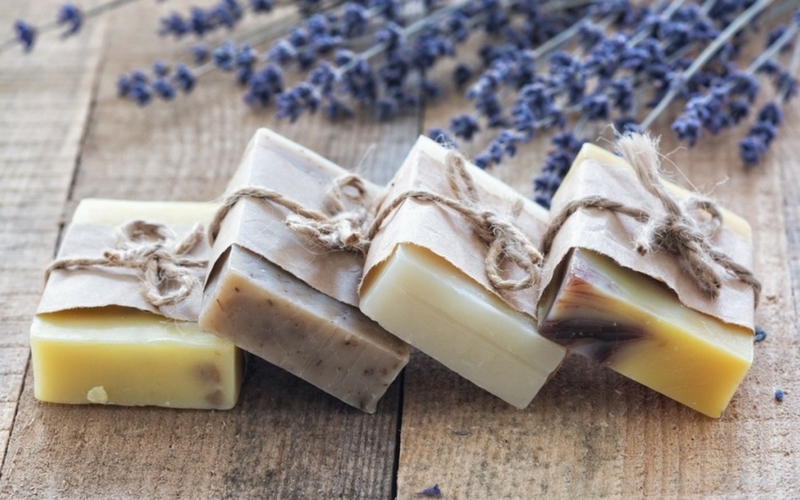 For the perfect smelling house, strategically place scented bar soap around the home. It is a natural deodorizer and you’ll be saving heaps on expensive air fresheners. Even place one in your car, the sun light will hit the soap for a more refreshing smell and help drive away bad odors. 8) Prevent jammed drawers. We’ve all experienced drawers that get stuck and don’t function as well as the first day you bought it. Remove the drawer and rub bar soap along the rails; this will prevent it from being stuck ever again. 9) Loosen a tight ring. Rings can become stuck on our fingers as our fingers swell up in the heat, making it uncomfortable and difficult to remove. By lubricating, the fingers with bar soap facilitate the removal of the ring with ease and without any pain. 10) Shaving. Ever run out of shaving cream? 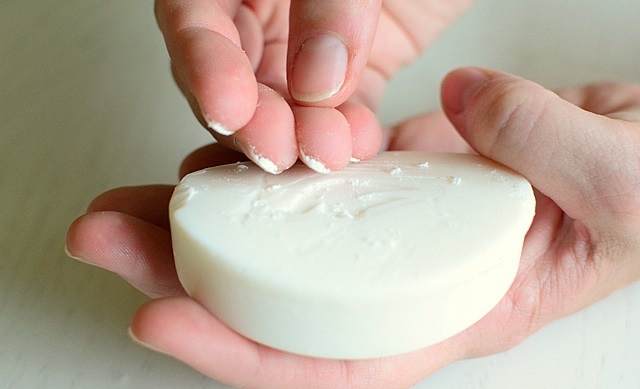 Make a good lather with a bar of soap and it does just as well of a job as shaving cream. Soap is made from natural ingredients and includes moisturizing agents that will not irritate the skin like how some shaving creams can. It has been recorded that the Babylonians were producing the bar soap as early as 2800 B.C. Although they did not necessarily use it for cleaning the body but wash wool and cotton in preparation for weaving into cloth. 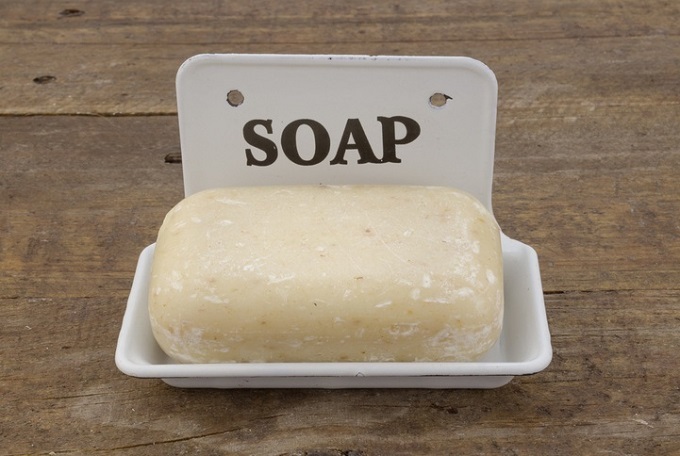 The bar soap today is made from natural ingredients that may include animal fats and vegetable oil. Soap has minimal wrapping that is recyclable compared to liquid soap that comes in the form of a bottle with a pump. Once the liquid soap is finished, the bottle is disposed of in garbage, increasing landfill. It’s very easy to pump out more than what you need with liquid soaps as there is no way to adjust the amount dispensed. Compared with a bar of soap, you can determine the amount of lather you require before putting the soap down; in addition 100% of the bar can be used, thus reducing wastage. Soap is just not enough anymore, they need to also exfoliate and remove dead skin from our body. This is accomplished by adding mild abrasive particles in the bar of soap to improve the lathering and scrubbing process for a deeper, richer clean. The use of liquid soap for exfoliating, although is achievable, needs to be used with a loofah in order to have the same effect. Soap bars provide convenience in that they do not require the use of a sponge, loofah or washcloth. Have you ever showered with liquid shower soap without a loofah? Did you truly feel clean? If so, you probably had to pump the bottle excessively and had to use half a bottle of the liquid soap. Preservatives must be used in liquid soap to prevent contamination and the growth of mould. There is no doubt that preservatives have many side effects and should be avoided when necessary. On the other hand, the bar of soap does not require preservatives and is a clearer, healthier alternative. From a financial and health perspective, the bar soap is less wasteful, saves money, contains less chemicals and can do just as good if not a better clean than their competitors.